Jennifer graduated in 2008 with a first class honours Trinity College degree in Valuation Surveying. 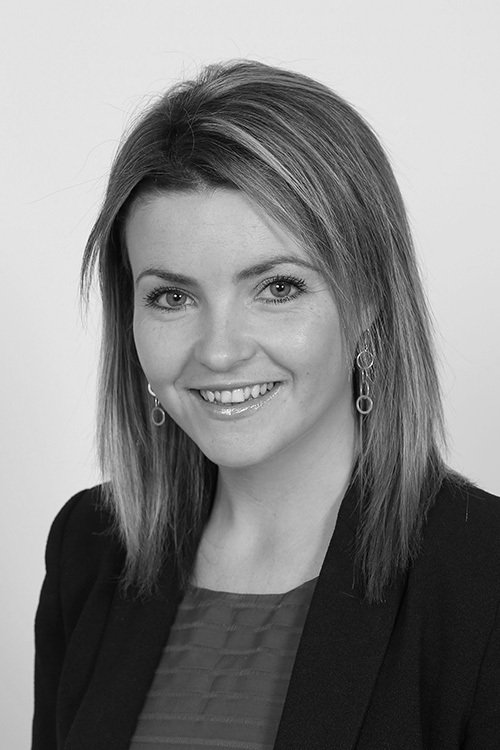 Jennifer specialises in Retail Agency and has an in-depth knowledge of the Irish retail market acting for a wide variety of private clients and institutional landlords in relation to retail lettings, sales and acquisitions. Existing leasing instructions include Nutgrove Shopping Centre, The Swan Centre, Athlone Town Centre, Gorey Shopping Centre, Douglas Shopping Centre and Tipp Town. Jennifer also provides acquisition advice to retailers in sourcing new stores in their expansion drive in Ireland including Smiggle, Kiko Milano, McCabes Pharmacy, Ann Summers and Diep At Home.